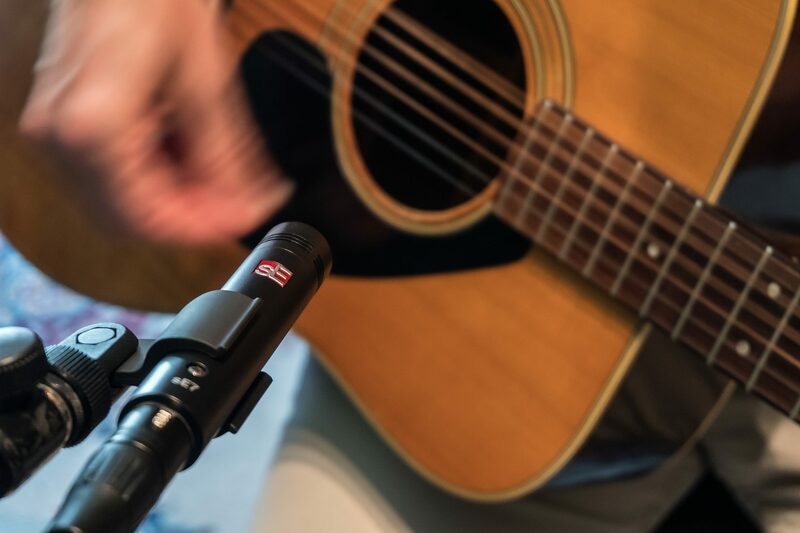 The sE Electronics sE7 is a high-quality back-electret small-diaphragm condenser microphone intended for a wide range of studio and live sound applications, from acoustic guitars to pianos to drums and beyond. The discrete electronics and the switchable attenuation pad ensure a high dynamic range, with high sound pressure level (SPL) handling capability and extremely low-noise components. The switchable low-cut filter helps eliminate rumble or footfall noise, and can also compensate for an excess of bass frequencies caused by the proximity effect. This enables the sE7 to close-mic many instruments including electric guitar speaker cabinets, brass instruments and drums. - The sE7's specialized capsule is designed for natural, balanced sound quality, with an ultra-thin diaphragm for excellent transient response. Its cardioid polar pattern also makes it ideal for most studio or stage applications, delivering great sound for almost any source. - With a very short signal path and state of the art electronics, the sE7 is the quietest microphone in its class. The transformer-less design ensures pristine sound quality, reproducing instruments with excellent clarity and depth. - The switchable -20dB attenuation pad prevents overloading your preamp or mixer and provides extended dynamic range, enabling close-mic techniques for even the loudest sources like brass instruments and snare drums. - The integrated 80Hz low-cut filter helps to eliminate low-frequency rumble or footfall noise, or to compensate for excessive bass (proximity effect) with close-mic techniques. - The sE7's all-metal chassis provides efficient rejection of any electrical interference and noise, and its high-quality finish ensures a great look for years to come. - The sE7 comes complete with a windscreen to avoid wind noise and a robust mic clip with thread adapter to fit with any mic stand.